Brooke Fletcher, Miss Georgia USA 2015, is really thankful she wasn’t crowned Miss Georgia USA 2014. Timing, after all, is everything. “With everything that has happened, I grew up more this past year than ever,” Fletcher says. 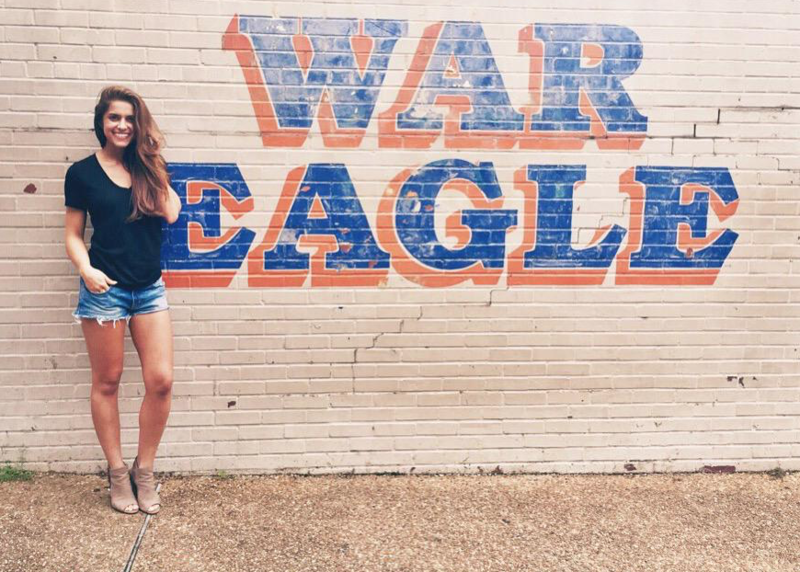 The 23-year-old from Peach Tree City, Ga., a former Miss Georgia Teen USA, graduated last year from Auburn University in business marketing. She landed an associate director gig at ESPN, thanks to her experience at AU’s Eagle Eye TV (and with zero assistance from the former professional baseball player she calls “Dad”, thank you very much). Now where she is as a person—a busy, busy person—is Baton Rouge, site of this year’s Miss USA pageant. It’s exciting. Cajun food. Photo shoots. Prelims. Appearances. More appearances. Rock climbing. Prepping. And, of course, controversy. “With everything that’s going on recently, more people are talking about Miss USA than ever,” Fletcher says. Last month, backlash over Miss USA owner and presidential candidate Donald Trump’s controversial comments on Mexican immigration temporarily left the pageant without a broadcast home. Fletcher’s official Miss USA bikini photo. Three days later, cable network Reelz announced it had partnered with Miss USA and would air the pageant Sunday night. However, the fallout over Trump’s comments continued. On Monday, five-time co-host Jeannie Mai announced she had cut ties with Miss USA, backtracking on on her original commitment to stick with the pageant. “I feel terrible that the women competing this year have fallen victim to current events,” Mai wrote on Instagram. Fletcher, however, doesn’t believe she’s fallen victim to anything. She says the prevailing attitude among the pageants has been to “ignore it and do your thing.” And to look on the bright side. So what are her chances of being crowned Miss USA in a year everyone will remember? The Miss USA pageant airs Sunday at 7 p.m CST on Reelz. It was also be streamed on the Miss USA website. Her brother Brian played baseball for Auburn. Her sister and fellow Auburn alum Brittany Fletcher Beckham is married to Chicago White Sox infielder Gordon Beckham. And she was a contestant on The Amazing Race. And won the Showcase Showdown on The Price is Right on her 18th birthday. During her Eagle Eye days, she interviewed Auburn’s last contribution to the Miss USA pageant: Katherine Webb. And here’s her official Miss USA bio video.